Office and education solutions provider, Winc (formerly Staples) has appointed its first chief marketing officer with a remit to reinvent the newly rebranded business’ digital officer and lead its customer engagement efforts. 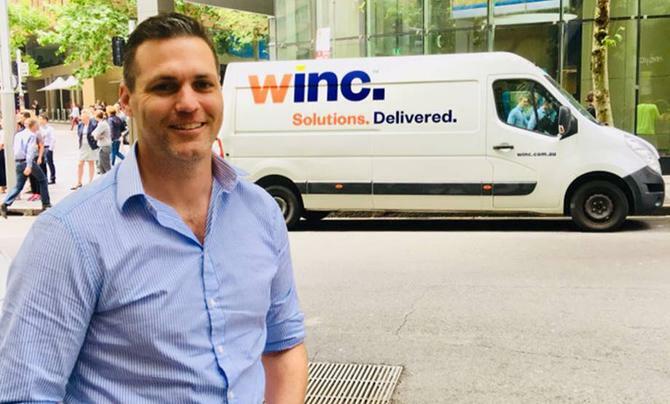 George O’Neil joins Winc from James Hardie Building Products, where led a digital transformation across the Oceania business as Asia-Pacific marketing director. His resume also includes senior brand and marketing roles with Procter & Gamble and Unilever. O’Neill’s appointment comes just three months after the group rebranded and embarked on a transformation program aimed at shifting perceptions of the business away from traditional office and education products, to more solutions-based offerings. “The creation of the chief marketing officer role is a testament to how serious we are about building our fresh new brand and giving our customers the best possible experience when they shop with us online,” Winc CEO, Darren Fullerton, said. The Staples A/NZ business was acquired by private equity firm, Platinum Equity, in March, and was swiftly followed by Platinum Equity’s acquisition of Office Depot’s OfficeMax business locally in April. At the time of the rebrand, Fullerton told CMO the intention was to appoint a new executive-level marketing leader to oversee a centralised marketing function. Fullerton has also signalled plans to invest into automation, artificial intelligence and digital experience. At the same time as announcing its new CMO, Winc also took the wrappers of a new six-part content marketing series entitled ‘Jeanette: Office Detective’, which takes a comedic look at what goes on the workplace. The six episodes kick off this week and run through to February.